I'm not the type of designer who makes everything ten times before finalizing it (I just rip back, eh) but occasionally I'll knock out a prototype. 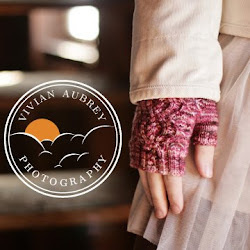 These poor things never get any attention- sometimes I completely forget to even put them on my Ravelry page, despite wearing them all the time. So I thought I'd snap a few shots yesterday before I completely wear out these two hats. 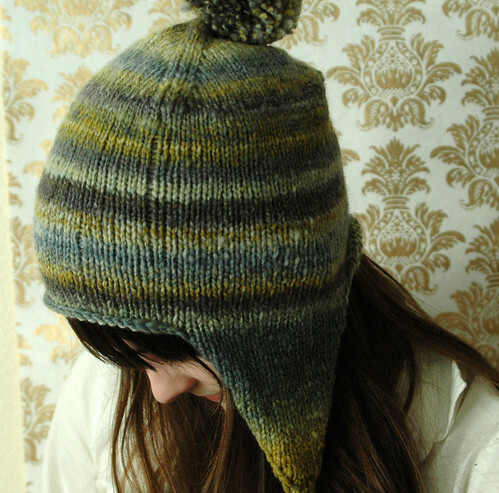 The second hat is the precursor to the blue earflap hat in the ebook (which should be out, oh, say, REALLY SOON). 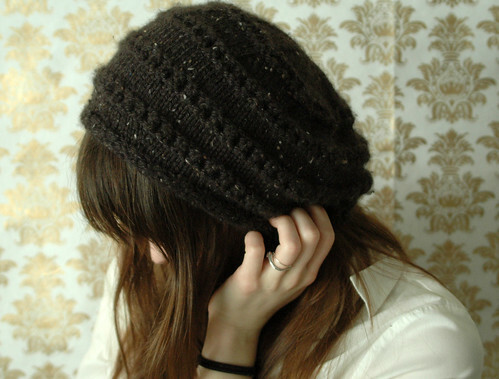 It's made with some super gorgeous handspun of Vivian's, and even though it's got some mad laddering going on (I'm usually more adept with the dpns, I don't know what happened) and the earflaps aren't quite in the ideal location, I love it. So yes. There you go, little under-appreciated prototype hats. You are officially documented. Any peek into the design process is appreciated! 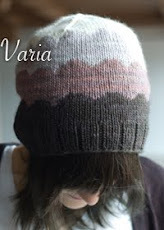 And I love the earflap hat, sorry about the ladders... The colors are gorgeous! awesome hats! I love all of them. I actually kinda like the ladders, especially if there were a few more randomly placed, it would totally look like a design feature. Like dropped stitches, but not as wide.